Our next meeting is on Monday 21st January at Co-op Digital’s offices at Federation House (2 Federation Street, Manchester, M4 4BF). The workshop starts at 6:30pm (doors open a little earlier, we aim to start by 6:35pm). Please register to let us know you’ll be attending, we will need to give your name to reception. For this month’s session, we’ll be running a beginner’s workshop on building and deploying Clojure web applications. Although you don’t have to be an expert programmer, some familiarity with another programming language, and a bit of experience with using tools like Git will be useful. If you don’t have that, then don’t worry, just install the pre-requisites below and sign up. We’ll go through some common toolchains for building Clojure web applications and then build and deploy a simple example on Heroku. After that, we’ll look at how you can add templating, and how REPL-driven development works for web applications. By the end of the workshop you should have a small web application deployed to Heroku. Our next meeting is on Monday 19th November. IMPORTANT: the venue has been changed to Federation House We’ll be in the “Solidarity” room! Daira Hopwood, a LamdaLounge regular, will tell us about Zero-knowledge proofs, a fascinating area of cryptography with wide applications for security and the blockchain. Zero-knowledge proofs allow Alice to prove to Bob that she knows a secret, without having to reveal it. With zero-knowledge proofs, you can validate in O(1) space and time that an arbitrary amount of computation occurred correctly. This remarkable property depends, at least for now, on writing programs in a peculiar (and peculiarly terrible) mathematical language called R1CS (Rank 1 constraint systems). This talk is an introduction to writing efficient R1CS programs. 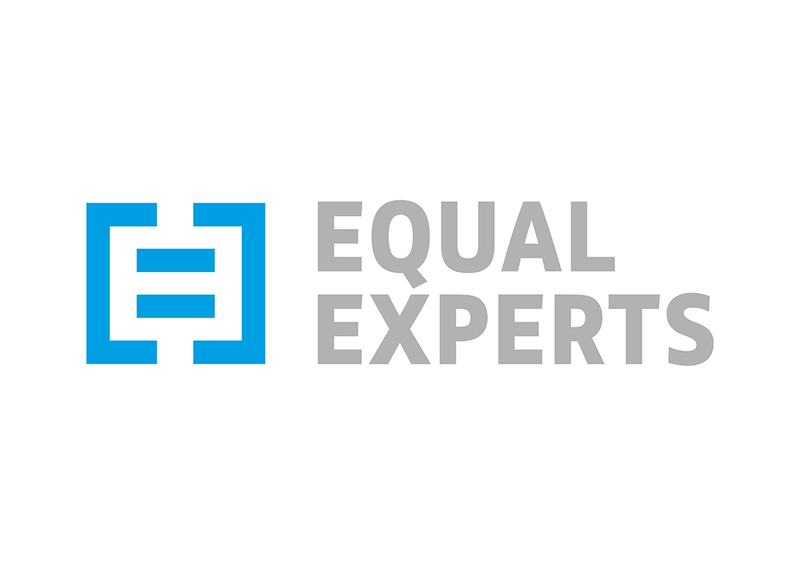 This event is generously sponsored by Equal Experts, a network of talented, experienced software consultants, specialising in agile delivery. Our next meeting is on Monday 17th September at MadLab’s PLANT NOMA (Redfern, Dantzic Street, NOMA, M60 0AE). This month, we’re running a workshop where we’ll help you set up a Clojure development environment and run through some simple exercises to get you started. No experience required, but please bring your laptop! If you’re a more experienced Clojure developer, feel free to come and help out or work on your own project! This event is generously sponsored by Equal Experts, a network of talented, experienced software consultants, specialising in agile delivery. Equal Experts will be providing refreshments! Please register to let us know you’ll be coming! Our next meeting is on Monday 16th July at MadLab’s new venue at PLANT NOMA (Redfern, Dantzic Street, NOMA, M60 0AE). This month we have lightning talks from Hakim Cassimally, Chris Bacon, Sam Marshall and Alex Lynham. We’ll meet on Monday 16th April, 7pm (doors open a little earlier, we aim to start by 7:05pm) at MadLab for a meeting about Real World uses of Functional Programming! Please register to let us know you’ll be attending. “In the beginning was PIPs, an API backed by a relational database used to store all the BBC’s programme metadata. But as more clients came, with more requirements and ever more complex queries, it became untenable to build one system able to service them all and maintain performance. Each client wanted a simple interface to be able to ask their specific complex questions, about subjects like availability and scheduling. We’ll meet on Monday 19th March, 7pm (doors open a little earlier, we aim to start by 7:05pm) at MadLab for a meeting about Elm! Please register to let us know you’ll be attending. Michael Jones who runs the new Elm Manchester meetup, will be showing us how to get started with Elm! Elm is a friendly language for front-end development that promises ‘no runtime exceptions’. It has a functional approach with a solid type system and a focus on simplicity. Michael will demonstrate how to get going with a basic Elm application and illustrate how some of the features of the language and the compiler lead to a smooth & enjoyable development experience. We’ll start with a demo and some live-coding. There’ll be plenty of time for discussion, and do bring along your own laptop if you’d like to play along! We’ll meet on Monday 16th October, 7pm (doors open a little earlier, we aim to start by 7:10pm) at MadLab to learn about macros in Clojure. “Anyone who’s written any Clojure has probably used macros that are in the language core, even if they didn’t realise it, but a lot of people might not have written their own macros. The talk starts from fairly basic principles and building on that so you don’t need to know Clojure or anything to understand it. A few brief slides at the beginning give you all the info you need to understand what’s going on even if you’ve not really looked at a Lisp-like language before. LambdaLounge is pleased to present an evening suitable for all, and especially newcomers to Functional Programming on Monday 18th September at 7pm at MadLab. Ever wondered how to write a tile-matching game (like Candy Crush and the earlier Bejeweled)? And how do you even write a game (with graphics, and state, and user interaction!) functionally? Regular speaker and co-organizer Hakim is just starting to explore this process, and will present some of the basics of modelling the game grid, and playing a basic event loop, introducing some important concepts in functional programming. We’re meeting on Monday 15th May at 7pm at MadLab to talk about how Functional Programming can be used to interact with the Internet of Things. Firstly, Qambar Raza (@QambarRaza) (BBC), who is starting an exciting project using the ESP8266 IC, Clojure, and Firmata and is blogging all the way up to his talk and demo at LambdaLounge. Our second confirmed speaker, Spencer Marsden (@spencermarsden) (a creative technologist at the BBC’s consumer technology showcase, the Blue Room) will give an overview of some of the exciting projects and technology he’s worked on. We can still make time for one or two more speakers! could you get involved? Perhaps you’ve written some dataflow based code on the Raspberry PI with NodeRED? Or you’ve been experimenting with Haskell and hArduino? Or have you been sneaking Functional concepts into C++ code on a PIC? Whether you are enthusiastically tinkering on a hobby project, or have used these technologies in a successful enterprise, we’d love to hear from you! We’re really keen to get a diverse range of speakers, from a wide range of backgrounds and experience, whether you’re a relative newcomer to functional programming, a veteran developer, or an academic, we always provide a warm welcome! See our call for speakers for more details or ping us at @lambdamcr! This Monday at 7pm Alex Weaver is giving a talk on deep learning for functional programmers. Deep learning has improved on the state of the art in several fields of machine learning, and is beginning to be used in commercial settings. This talk aims to provide a grounding in the core concepts of the topic, explore parallels with functional programming and introduce some promising recent research. We’re meeting at the usual time of 7pm @madlabuk, so we’ll see you there! This month on Monday 16th @7pm we have Claudia Doppioslash talking about the adventures she's been having exploring the Elm programming language. Some useful features of Elm are a Time Travelling debugger (which is remarkably similar to Bret Victors'), hot code swapping, immutability, Union Types, type inference and of course FRP. We will be meeting at Madlab as usual. On Monday February 16th at 7pm we're hosting a series of lightning talks @madlabuk. This talk will then segway nicely into a talk by Andrew Kirkham on the advantages of using React for Clojurescript UI's via either Om or Reagent. In our third talk Daira Hopwood gives an introduction to the cool things you can do with dependent types and how they can help you write safer code. We still have room for another lightning talk so if you'd like to talk for ~10-20mins, we'd love to listen!